What A Wonderful Motorbike Tour Vietnam! 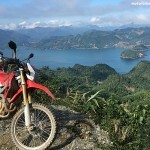 “What a beautiful Vietnam and what a wonderful motorbike trip! 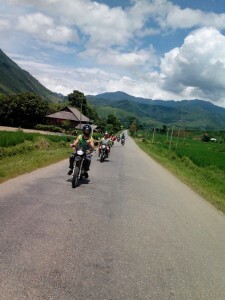 We’ve just finished an unforgettable 6 Day North Vietnam motorbike tour, led by Luke and supported by Sy and Hung (Hero). Wow…There are many good things to talk about…The bikes were great, the food was good/fresh, the riding and scenery were fantastic and especially home stay was memorable! Another highlight of this motorbike ride was the time we spent with locals, sitting around at dinner reviewing the day, learning about Vietnam and its beautiful people and history, and sharing meals and rice wine with our home stay hosts. 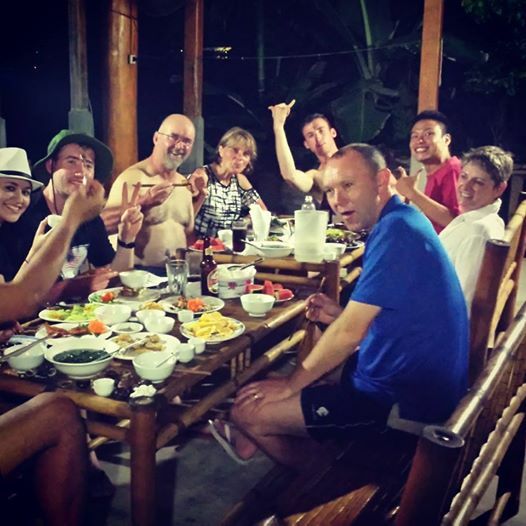 All team of Vietnam Motorbike Tour Expert were brilliant hosts. 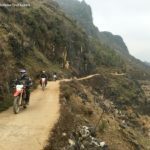 They coped with all our different requests and adjusted motorbike tour Vietnam as we went along to accommodate extras, such as a trip to the China-Vietnam border. They joined in everything we did, as well as taking care of the bikes and all the safety elements for such a trip. Chung was our main contact during the organization of the tour. We changed the length of the trip several time as well as the itinerary; we emailed back and forth often as we asked questions and refined the arrangements. Chung responded so quickly every time and was incredibly patient and helpful.